Dr Stephanie Gilbert is exploring Aboriginality - both within a tertiary education framework and in relation to the Stolen Generations and how it may impact on future generations. A background in social work has added a distinctive lens to Stephanie’s academic research, providing a nuanced insight to an important cultural study. Stephanie’s experience in the field of adoption is brought to the fore when she’s exploring the forced removals, fostering and adoption of Aboriginal children of the Stolen Generations and how it has impacted on people practicing Aboriginality. Stephanie’s sharply focussed postgraduate research has helped inform her ongoing research, exploring into how ‘child protection’ policies have impacted on the development of a sense of identity. An honours degree from North Queensland’s James Cook University saw Stephanie examine the Stolen Generations through the forced removal of Aboriginal children from their families from the late 19th century to the mid 20th century. Then, when undertaking her PhD, Stephanie investigated how people who were removed from their Aboriginal families of origin chose to relate to their Indigenous heritage. This is a topic that still fuels her research to this day. Stephanie’s current focus is more particularly body dysphoria, and she’s interested in testing out whether this notion is experienced by other Indigenous peoples around the globe. Research indicates that the damage caused by forced removals in the past is still felt by present generations, which is the focus of Stephanie’s latest research exploring ‘soul wounds’ and epigenetics. “It’s thought that up to seven generations can be impacted upon by what’s happened to the generations before. This has been explored through research through the Jewish populations where people are still experiencing trauma from generations earlier,” Stephanie explains. “I’m keen to explore what gets implanted in the genome and passed on to the next generations,” Stephanie says. Stephanie has also been inspired by research where there was a realisation that trauma in early life can actually change the shape of the brain. With the Stolen Generation, there is a sense of disconnect between the body and the identity which forms part of the psyche through the assimilation policies. “Body dysphoria in children of the Stolen Generation is strong, with Aboriginal children being told they’re white – but others seeing them as brown,” Stephanie explains. Having immersed herself in this research in Australia, Stephanie’s next step is to see what she can learn from other cultures. 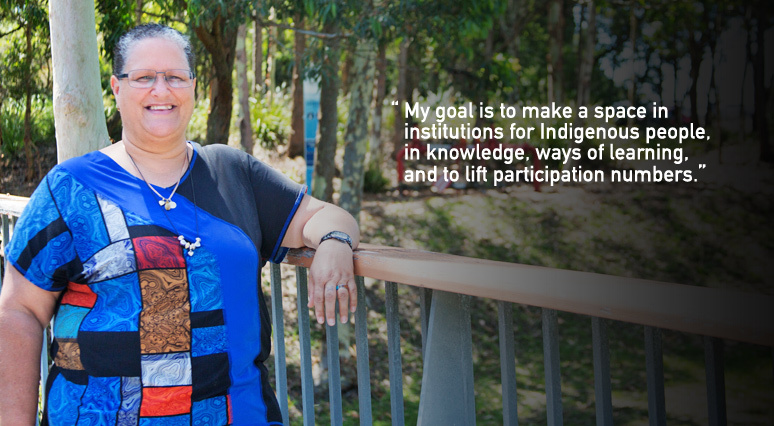 When Stephanie first came to the University of Newcastle it was to improve the entry for Aboriginal and Torres Strait Islander students to higher education through the Yapug pathway to University. “Back then Yapug was medicine-only, but now it’s housed at Birabahn and proudly gives Indigenous students entry into all sorts of studies,” Stephanie explains. As coordinator of Teaching Quality and Development at The Wollotuka Institute, Stephanie manages to balance her research and academic workload astutely. “You’ve just got to focus on what’s important and allow yourself to push some things to the side,” she says. With her Fulbright Indigenous Scholarship, Stephanie will bring an even greater global focus to an issue that’s still poorly understood by many. It’s giving a voice to those who were silenced in the Stolen Generation and will bring a new perspective on an important, ongoing issue in Australia. It’s a tough conversation – but one we need to have. Dr Gilbert is also considered an expert in the area of enabling education and more specifically for Indigenous students across Australia. She has developed, implemented and taught in educational programmes for higher education students across enabling, undergraduate and post-graduate levels. Initially employed at James Cook University of North Queensland in a specific entry program for Aboriginal and Torres Strait Islander students into Community Welfare and Social Work her work in curriculum and pedagogy development started with the development of the Tertiary Access Program one and two. Stephanie, a colleague and Professor Errol West implemented this new program that university and across four sites of which two included correctional centres. Stephanie, herself, taught into that program in the Townsville Correctional Centre. 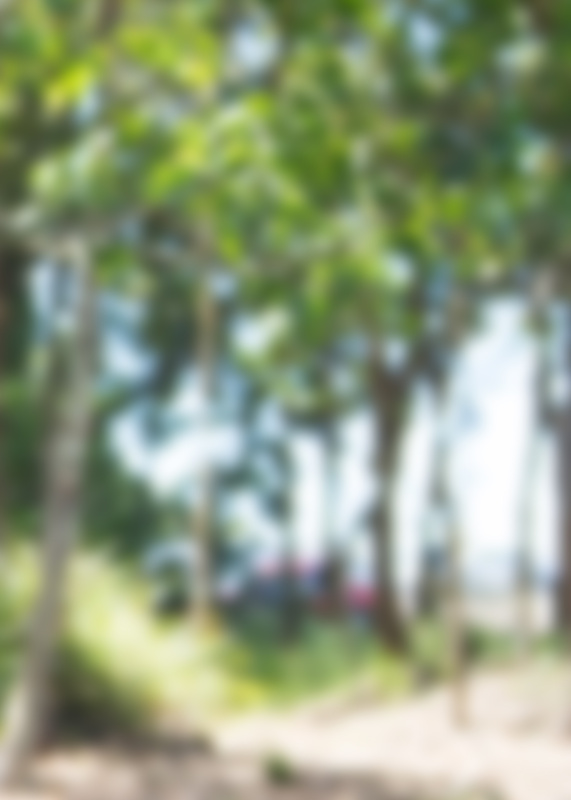 The fourth site was based within the Yarrabah Aboriginal Community south of Cairns. Stephanie was involved with development, teaching and support at all of these sites. Dr Gilbert has spoken and presented locally, nationally and internationally on the topics of Indigenous social work, Stolen Generations, body dysphoria, and ways of teaching and practicing excellence in Aboriginal education. More explicitly this work has centred around recognising and embedding Indigenous knowledges, cultural protocols and pedagogies throughout all University functionalities. More recently her work assisted in the production of The Wollotuka Institute’s Cultural Standards and the successful accreditation of the Wollotuka Institute through the World Higher Education Consortium; and she presented at the World Higher Education Conference in Hawaii (2014) and the linked article ‘Teaching Practise Utilising Embedded Indigenous Cultural Standards’ now published in the Australian Journal of Indigenous Education. Dr Gilbert holds a Doctor of Philosophy in History (UoN). Dr Gilbert initially explored the basis for legislative actions of Aboriginal child removals in Queensland in her Bachelor of Social Work honours (JCUNQ) and both her Masters of Arts (Women’s Studies)(Deakin) and PhD (History) have focused on the gendered experience of child removals. This work questioned the re-membering processes available to those now women whom had been removed on the basis of their ‘race’. Crucially this work feeds into the wider project of the construction of Aboriginality in Australia. Her examiners commented that her work would serve to assist to “direct the discourse into a more agentic and empowering stance of inquiry”. This is the work Dr Gilbert is now furthering in her current placement at UCLA for her postdoctoral Fulbright Scholarship. In addition, Dr Gilbert brings a critical level of expertise to the fields of ethics and working with Aboriginal communities. This is work she has published in Our Voices in addition to providing high level advice to the Expert reference group on the implementation of COAG on improving mental health capacity in Indigenous Communities Office of Aboriginal and Torres Strait Islander Health, and the University of Newcastle’s Human Research Ethics Committee. Dr Gilbert is a Cluster leader in the Aboriginal and Torres Strait Islander Research and Innovation Cluster (ATSIRIC). She has served her profession on its National Board for more than seven years, on the professional Australian Social Worker Journal Editorial Board and was the Branch President and Director of the Hunter Branch of the Australian Association of Social Workers. Dr Gilbert has shown a very strong commitment to the study and illumination of Indigenous research. Her publication examining accessing archival material for both her book chapter on Pearl Gibbs and her Phd, ‘Telling It How it Was’: For What?”, examines the complications inherent in researching ourselves and the legal implications that might be brought to bear . Dr Gilbert will be following up this publication with another one exploring processes for the researching of archives during her Fulbright time at the University of California Los Angeles. Dr Gilbert’s Fulbright Post-Doctoral Scholarship focused on body memory and body dysphoria from within an epigenetics and Indigenous theory-centred approach. In summary, Dr Stephanie Gilbert brings a unique and highly important body and level of expertise to a wide number of areas within higher education as well as possessing long-standing firm community and professional expertise as a social worker, historian and Aboriginal educator. B Bennett, S Green, S Gilbert and D Bessarab, (eds) Palgrave Macmillan. In addition Gilbert authored two chapters and the foreword. I was invited by the project team to launch the Massacre Map website to the public. Asked to facilitate panel discussing cultural appropriation. This research project involves investigating the research questions: how are Aboriginal students currently supported around identity questions by Australians universities and how do students themselves understand their identity journey within universities? The overarching purpose of this project is to understand two things: the ways that safe spaces and places are and can be constructed for Aboriginal students within universities by staff, students, pedagogical and curriculum practices and 2: Aboriginal students do crucial identity work when they get to university. How do universities support this? Based at University of California (Los Angeles) for six months in 2018. I am supporting this project with Bill Pascoe and Professor Lyndall Ryan.